Strong character descriptions work on multiple levels. 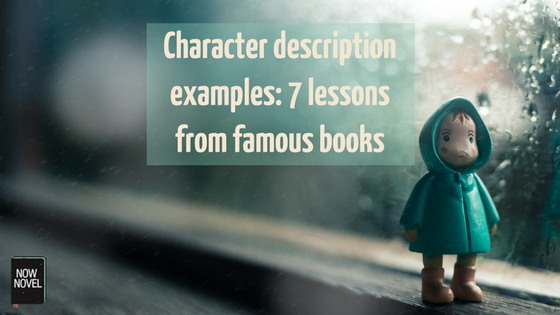 When you describe how a character looks, think about how appearance illuminates personality. Atwood’s description is specific in detail and there are clues to Laura’s depressive nature (the ‘sober’ and ‘penitential’ colours) in Atwood’s description. 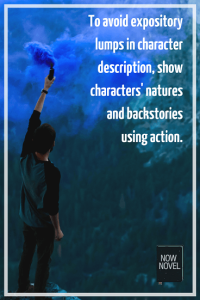 Multi-angled character description is effective because we start to see how each character in a story connects to and understands the others. It adds depth and complexity to characters and their relationships. Woolf combines concise, clear physical description (‘all humps and hollows’) with what the children see as lacking in Tansley. Physical description is supplemented with his shortcomings (being bad at sport and his mannerisms and way of pacing). Woolf enriches a general impression of Tansley with Andrew’s subjective view, sketching in additional detail via multiple perspectives. By describing Estha’s silence as a parasitic, living creature, Roy conveys Estha’s psychological state while avoiding empty abstract terms. The Victorian author Charles Dickens is a master of characterization. When Dickens introduces a character, he typically gives the reader multiple details. Dickens includes physical appearance alongside tics and shortcomings, to make a character stay with us. Dickens’ character description is memorable for multiple reasons. Firstly, he constructs parallel sentences beginning, ‘A man…’ This element of repetition sticks in the memory. Secondly, Dickens moves from the vague detail of describing Bounderby’s profession to the particulars of his appearance and voice, back to the general (‘A man who was the Bully of humility’). This makes the character’s appearance, mannerisms and public persona vivid. Morrison’s opening character description is excellent because it tells us plenty about Violet’s past. It shows Violet’s grief using a very specific event (the funeral of her cheating lover’s murdered mistress). Morrison doesn’t say, ‘Violet was driven crazy by grief, even to the point of disfiguring a dead girl, when her lover cheated on her.’ Instead, she shows Violet acting out her grief on the very first page. Salinger alternates the focal point of the narration in this dialogue between both characters (we see both characters’ desires and frustrations). Showing both what Zooey and Lane say to each other and what they keep private creates a believable sense of both having private inner worlds that their words can’t always adequately express. 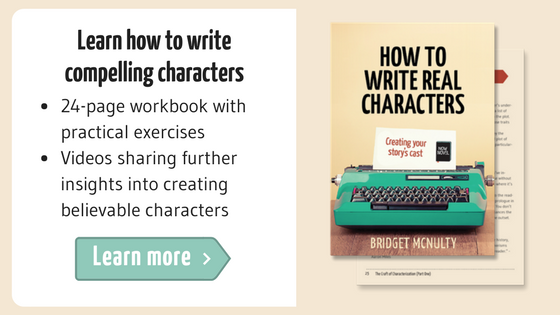 Many aspiring authors struggle to make each character distinct. Each major character should have their own voice, appearance, world view and set of motivations. Because Dorothea’s pious nature is crucial for Eliot’s plot, the foil of her ‘worldly-wise’ sister draws our attention to this important character trait more. In conclusion, keep a journal of character descriptions copied from the novels you love. When you like or dislike a character, ask why. How does the author use their dress, words, and deeds to show their personality? 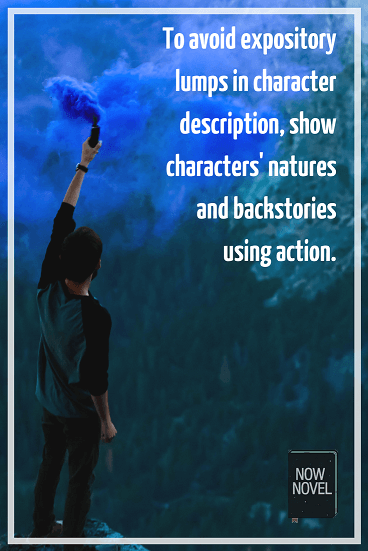 If you need help creating character sketches and making your characters vivid, use the ‘Character’ section of Now Novel’s idea finder now.